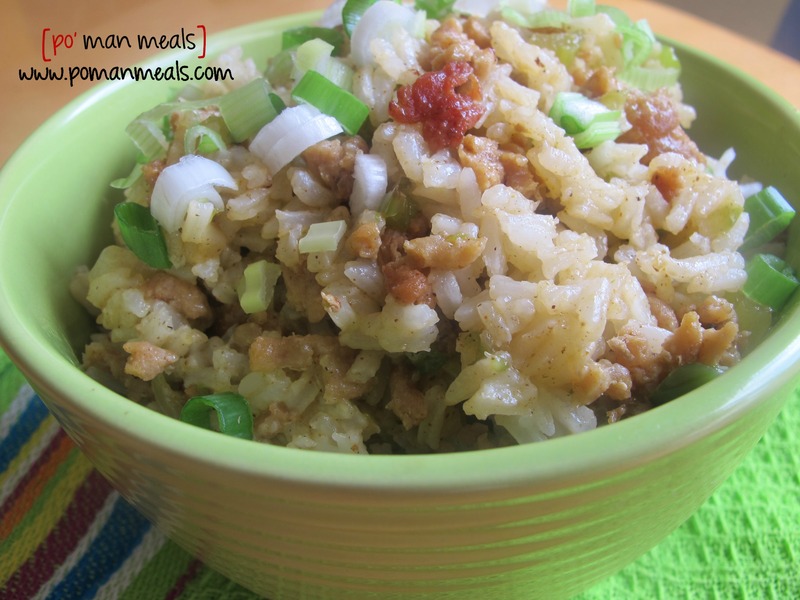 not your traditional dirty rice! i used what i had on hand which was ground chicken. to add more fat to the chicken, the bacon worked wonderfully. this dish is packed with flavor and turned out well. 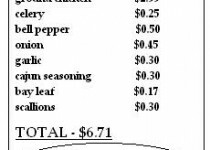 feel free to sub the usual ground sausage or pork and even the traditional livers. bring 3 cups of chicken stock to a boil and add the 1 and 1/2 cups of rice. lower the heat and cook until liquid is absorbed, about 15 minutes. heat a large dutch oven over medium high heat. add the bacon and cook until crisp. add the ground chicken into the bacon. season with salt/pepper to taste and cook until browned, breaking it up into small pieces with a spoon. add in the veggies, cajun seasoning and bay leaf. cook for another 5 minutes until the veggies are tender. add in the remaining 1/2 cup of chicken broth and scrape the bits off the bottom of the pan. bring to a simmer, cover and let cook until flavors marry for about 10 minutes. fluff the rice and add to the chicken/bacon mixture, stirring well to coat. transfer to a serving dish and garnish with chopped scallions.